This book is less about coronary artery disease than it is about certain contexts that author believes are important for a better understanding of this disease and several others. The contexts are biological, clinical, managerial, social and historical, and each chapter is an inquiry into one or more of them. A theme common especially to the last chapters is that the balance between principle and diversity, or between Platonic idealism and Aristotelian empiricism, has been shifted too far in favour of the former, and that this imbalance is inimical to science, agriculture and clinical medicine. 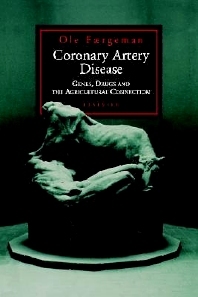 A major theme of this book is that we cannot rely on molecular biology and biotechnology to provide solutions to coronary artery disease. Instead, government must integrate health policy with policies for science, industry, urban planning and agriculture. Foreword (P.A. Poole-Wilson). Acknowledgements. Introduction. 1. Coronary artery disease before 1920. 2. Coronary artery disease 1920-2000. 3. Coronary artery disease after 2000: Epidemiologic transitions. 4. The cholesterol controversy. 5. Food and coronary artery disease. 6. The agricultural connection. 7. Diversity, complexity and human disease. 8. Biotechnology and the marriage of university and industry. 9. Medicalization. 10. Managing medicine. Conclusions. Appendix 1: A crash course in coronary artery disease. Appendix 2: A mini-course on fats. Index.